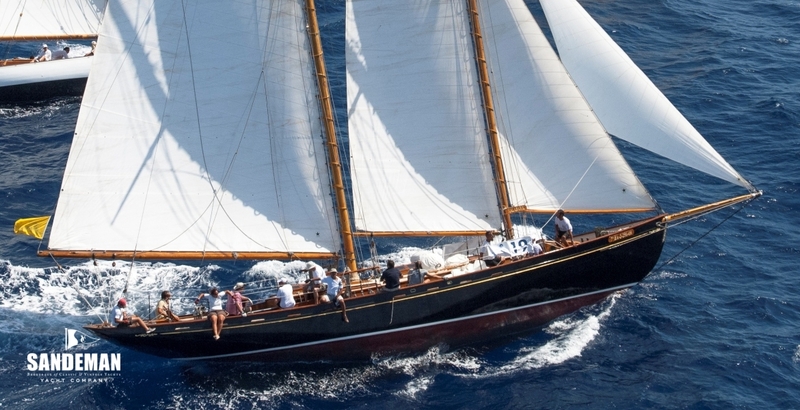 The last and largest of the legendary run of John Alden’s personal MALABAR schooners that all but dominated US offshore racing between the wars and won three Bermuda races between them - with MALABAR X winning her class in 1930 and overall in 1932 (beating DORADE) - she has always been considered the best of them, in particular by her original crew. 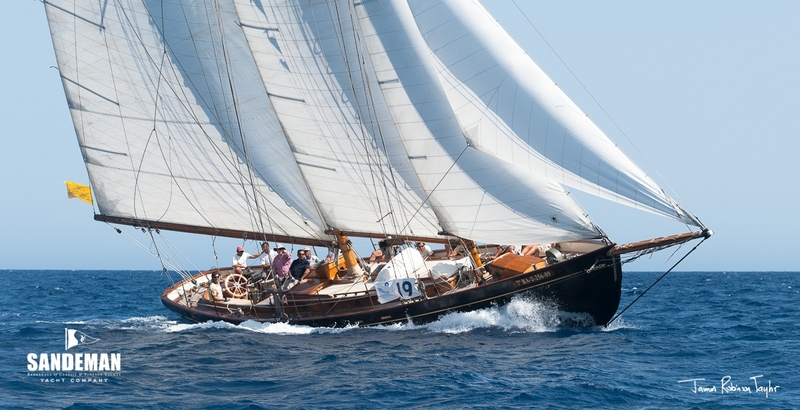 The epitome of the wholesome, fine and fast Alden schooners, after a major turn of the 21st Century rebuild MALABAR X now graces Mediterranean waters: an iconic, head-turning regular at the Spanish classic regattas, and very comfortably appointed for easy and elegant cruising with family and friends. 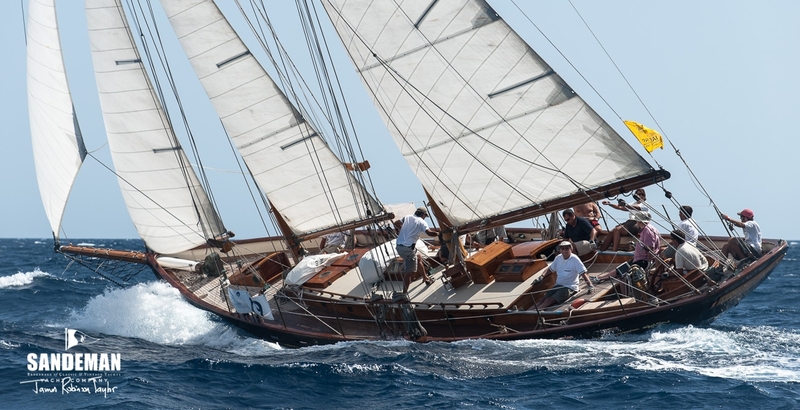 Between 1999 and 2003 MALABAR X was rebuilt for Doug Hazlitt by Cayuga Wooden Boat Works at Ithaca, NY. As with all the best such projects, there was a clear post-restoration plan for how she would be used – for day charters on Seneca Lake. The work was supervised by Cayuga's Dennis Montgomery, and by naval architect Niels Helleberg of the Alden design office. That clear vision meant that early honourable hopes of saving parts of the wood structure were, as is more often than not the case, replaced by a desire to replicate, and improve structurally where time had told that it would be prudent, with as much non structural gear as possible being reused. The result is a yacht that looks and feels just right, and can be sailed just as John G Alden envisaged and experienced. Working back up from the original iron keel, she was given a new backbone of extremely hard and durable angelique, with planking in silver bali and ceilings of angelique, all fastened with bronze and copper and tied with cast bronze floors and knees. The interior is an evolution that feels right while offering the modern comforts we expect 90 years on. 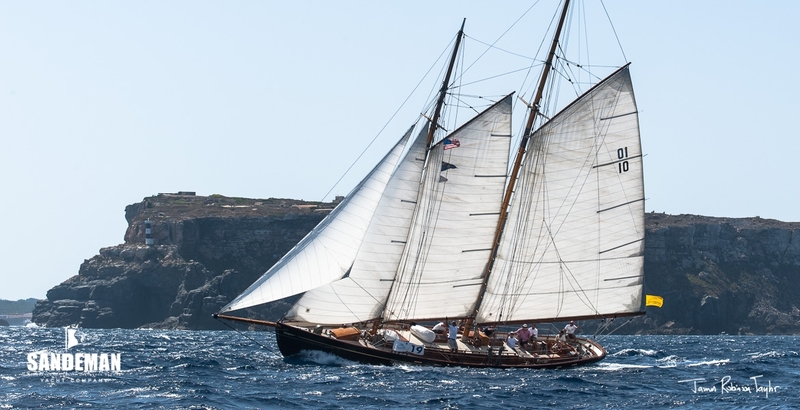 And on deck the result is remarkably true to the original layout; why not – after all, her designer and first owner had had at least ten personal schooners to work out what makes that most beautiful of rigs tick. 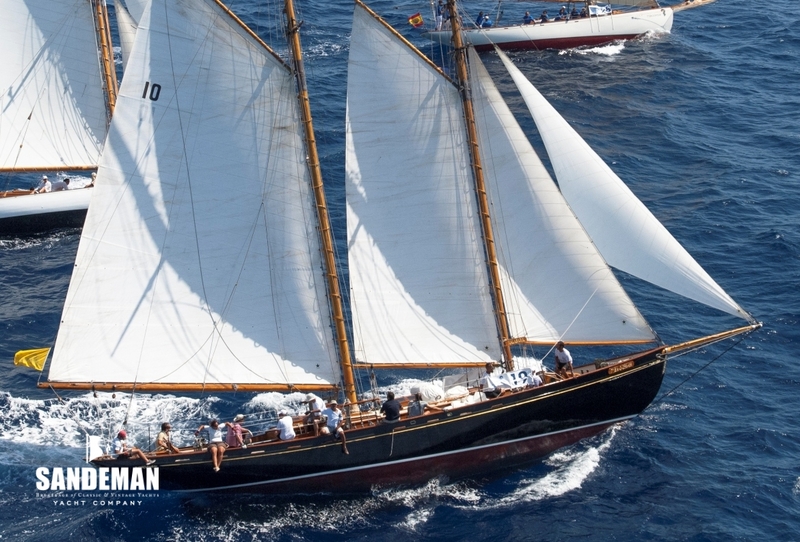 MALABAR X was launched in 1930 by the famed Hodgdon Brothers yard at East Boothbay, Maine. For John G Alden she was again a means to both pleasure and promotion, achieving both by winning her class in that year's Bermuda race. 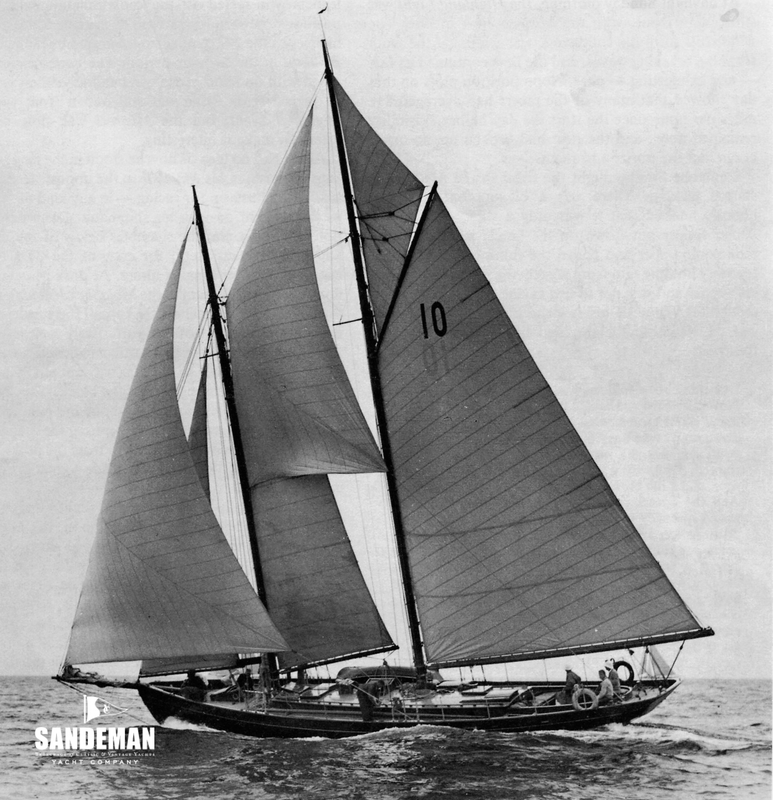 In 1931 she came second in the prestigious Cape May Race, and in 1932 excelled by winning the Bermuda race overall from DORADE. After many ownerships, in 1991 she was seriously damaged at Greenport Long Island during Hurricane Bob and all but abandoned. Enter saviour Doug Hazlitt in 1999 with a plan to operate this iconic yacht for day charters in upstate New York. She was trucked to Cayuga Wooden Boat Works, Ithaca, and began what became a keel-up rebuild under the supervision Cayuga's Dennis Montgomery, and Niels Helleberg of the Alden design office. Relaunched in 2003 and listed by Classic Boat magazine as one of the 250 all time-classics, after her early-century day charter years on Seneca Lake, MALABAR X's present owners shipped her to Spain in 2009 where she joined the Mediterranean's astounding fleet of beautifully maintained classics, but few can emulate her provenance and presence. - Cast bronze floors and knees.